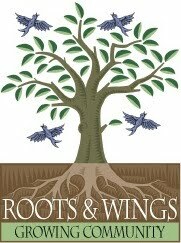 Roots & Wings Labyrinth features fragrant perennial herbs such as lavender, rosemary, echinacea, Veronica, hellebores, and strawberries, with other plants such as Swiss Chard for filler. This is place for quiet contemplation and prayer. It is open to everyone. Follow its path to the center by walking at your own pace. 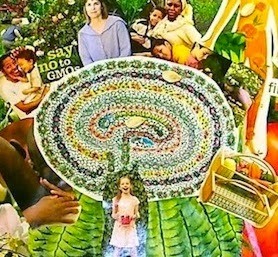 Allow your body, mind and breath to relax as you make your way along its spiral trail. 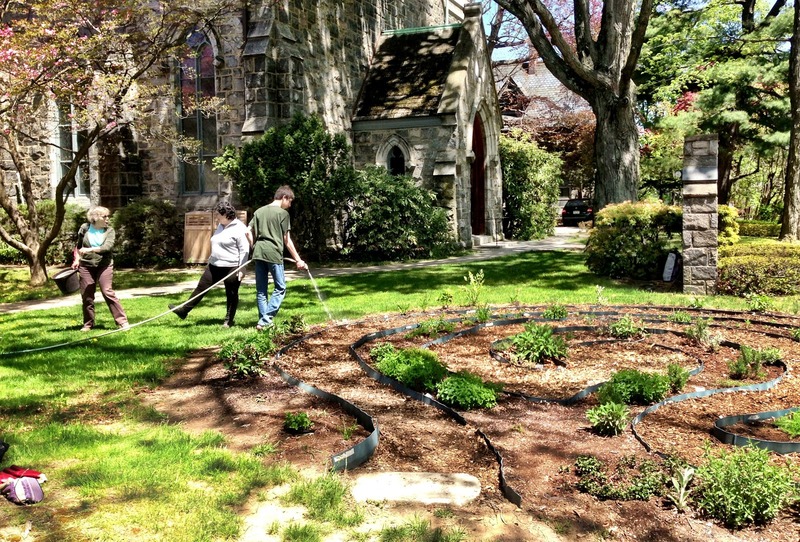 The first workspace of Roots & Wings is a 22’ circular labyrinth garden on South Presbyterian Church’s front lawn, on well-traveled Route 9. 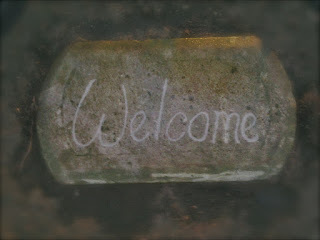 The threshold welcome was carved by local artist Cheryl Hajjar from South Church's original carriage stone. Roots & Wings partnered with Children's Village to put in this garden--using seedlings the children there have started in the greenhouse, and planting side-by-side with Claire Cornish, the Horticultural Therapist, and her young crew. 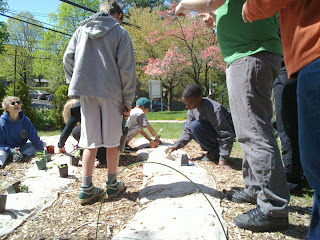 "I discovered that Roots & Wings’ labyrinth garden is a microcosm of life. It is continuous, circuitous path of enthusiasm, experiments, disappointments, adjustments, frustration, compromises, and laughter. I’ve learned a lot about myself, my tolerance for working within a group, and my responsibility within our church community and outside these walls. 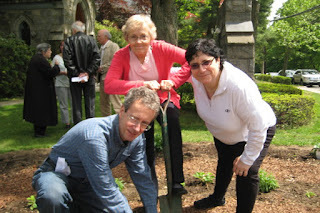 "I feel a deep connection to this garden. My kitchen compost and our guinea pig’s droppings are mixed in its formative layers. My role has been minor, but my rewards have been huge. Everyone contributes what they can, when they can. E-mails and texts go out about particular plants that are looking stressed. People cover for each other. Each time I return, I see progress. Our collective inspirations and contributions make a thing of beauty.